While there are various online project management tools that you can use, having one with the power of Gantt charts and worksheets can be immensely useful. MS Excel and similar spreadsheet apps and web apps are widely used for making anything from basic worksheets to elaborate documents. However, web apps like Google Drive can be limited in capacity and act really more like a stripped down version of Excel. 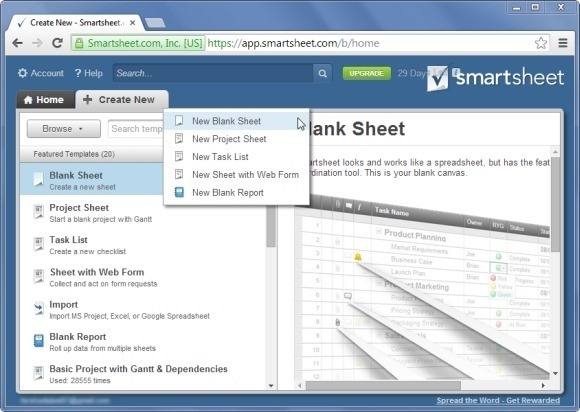 Smartsheet is an online project management tool that can be used for managing projects, keeping track of milestones, online collaboration and more. 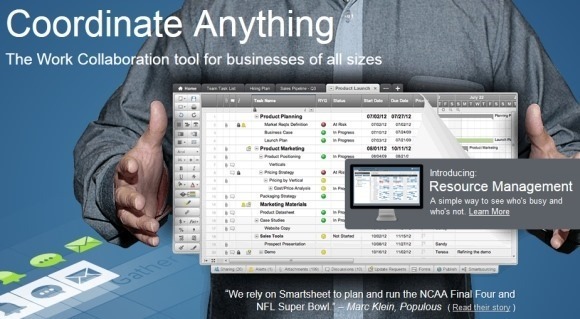 Smartsheet delivers a spreadsheet like working space with the option to create project sheets, task lists and web forms. All these options can be quite helpful in resource management and to organize and track project assets. 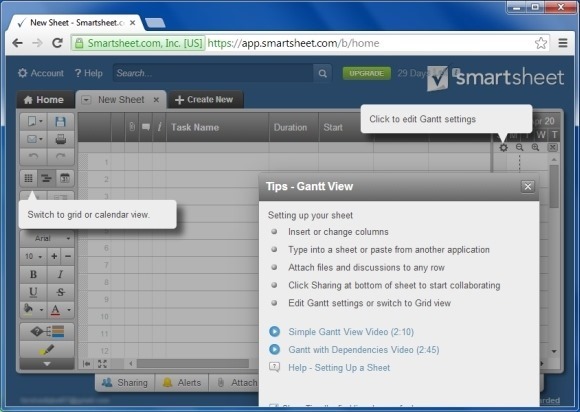 Smartsheet starts off with helpful tips to allow users to get started. You can insert new columns, switch between different viewing options attach files and collaborate with others by sharing documents and add discussions to rows. Furthermore, you can use readymade templates to easily create appropriate spreadsheets suitable for your project. You can not only create your own Gantt charts and spreadsheets but also import documents from MS Excel, MS Project and Google Drive. 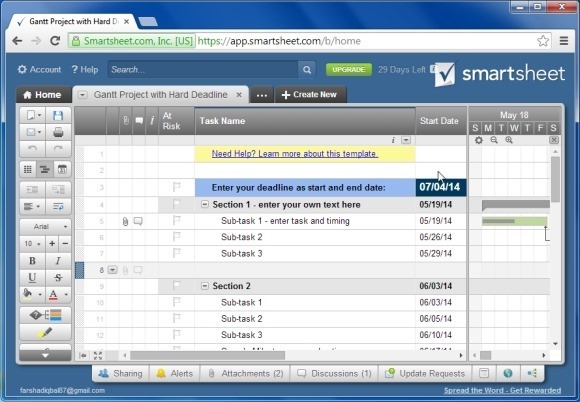 Smartsheet is a paid web app, however, you can try it for free on a 30-day trial basis.